Lansdowne Hotel presents, JEN CLOHER, at the Lansdowne Hotel, City Rd. Chippendale, 31st March. Two of my girlfriends ask me to a music gig at the Lansdowne Hotel, on Easter Saturday night. I check my diary. I'm free. "Okay", I say. "Who is on?" "Jen Cloher". "Oh", I say, "Great. I taught Jen when she was at NIDA (National Institute of Dramatic Art). I remember, even, one of the scenes we worked on together: A PATRIOT FOR ME, from John Osborne's play. We had a struggle but Jen's sheer intelligence and tenacity made it a very interesting time." In fact, I have not seen Jen since that time at NIDA. She soon gave up acting after graduating. Next, I hear of her career as a Musician/song writer. Easter Saturday night: We watch one of the support bands: Mere Women. Watch the small but very pleasant room upstairs at the Lansdowne fill with a very eclectic crowd. Young and old. I am especially impressed by the sheer diversity of her audience. Especially, the ageist bit. I had thought I might be the oldest in the room, but perhaps, that was not the case. Feels good. We have two drinks each - gin and tonic for two of us, Young Henry's for the other - and the band comes on stage, on time! Drummer, Jen Sholakis; Bass guitarist, Bones Sloane; Guitarist and back-up singer, the exceptional, Courtney Barnett and Jen Cloher. 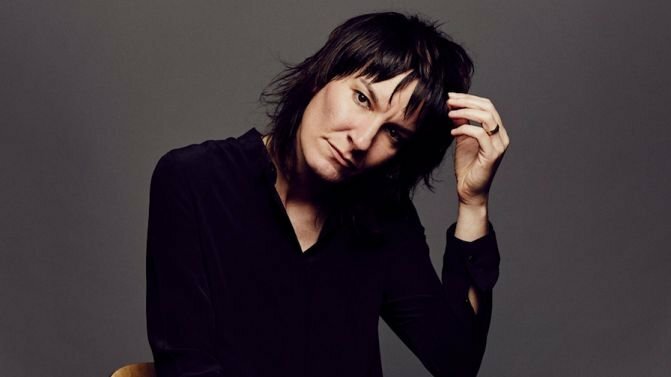 Jen Cloher has grown into a very striking woman and radiates a generosity of love and confidence. She has a subtle but witty sense of humour. Quickly they are into their music. Their Sound. 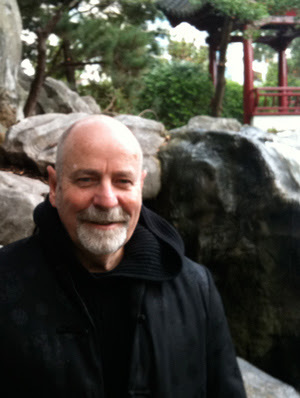 I am an absolute neophyte with this sound, unlike my two girlfriends, one having grown up in the Golden Age of Australian Music in the 80's (mixed with her surfing), the other with a powerful penchant for bands such as The Pixies. I know not much or, even, have a history of being able to read this sought of sound. I had had a chat, along with the second drink, about their impressions of Mere Women, just to find a 'level' for my comprehension of what was to follow. What completely captures me, with Jen Cloher and her band, is the sheer power and complete confidence that each of these musicians have. But best, it is the compassionate ownership of the lyrics of the songs, led by Jen Cloher, the open and transparent truths that are uttered - 'howled' - that paralyses one to attention. Coupled with the sheer expertness of vocal technique and the rigorous application of that being translated to a clarity and emotional cost of some staggering weight is what holds me, sometimes to a point of 'teariness' at its rawness and honesty. Time fleets and the weariness of standing, at 11pm at night, swaying - not from the alcohol, but to the music - to the gutsy sound wave of the instrumentation takes one to a transporting place of 'lost consciousness - a kind of ecstasy'. When, I supposed, the classic formula of the instrument organisation of this form of music kicked-in, the human capacity of Jen Cloher's voice is matched by the simply spectacular translation of the passions of expression that Courtney Barnett summons with her guitar playing that transforms her into an energy force beyond human, except for its very human need to tell to us/for us of the human condition that is frighteningly primal in its origins. Courtney Barnett is no ordinary musician, she, like Jen Cloher, are extraordinary artists where there is no holding back the need to tell, the need to connect. One receives a super-human gift. It is true as well of Jen Sholakis commanding and watching the offers from her fellow artists on her crashing drum kit, with Bones Sloane, present, passionate, quieter, though, just as thrilled to be playing in this room together for this audience. But in the experience of it, it was so much more. Definitely, so much more than I expected. Jen Cloher may have thought she had left her Acting career behind her, but I could not help seeing the genius of the self-sacrifice that I witnessed - both, in her writing and performance - just as I did watching Hugo Weaving in the Sydney Theatre Company's production of THE RESISTIBLE RISE OF ARTURO UI***, a few days ago. Her performance has the transformative power of great Art and this collection of musicians are a wonder. After, I catch-up with Jen for the first time in fourteen-fifteen years or so - me, behaving like a star-struck stage-door 'johnny'. We even asked her to autograph the vinyl L.P. one of us had bought. One meets a grounded, honest, generous woman of such embracing warmth and curiosity. And most wonderful of all, I reflect, after, on my walk home, a woman who is happy to be doing what she is doing. Really, happy with her body of work. Follow her up. Milk! Records is her label. Jen Cloher is based in Melbourne. Thank god for the Lansdowne and its support of Australian Live Music. Note that this program session featured three bands led by women: SUNSCREEN - Sarah Sykes; MERE WOMEN - Amy Wilson and JEN CLOHER.